You could strap a back-up siren to yourself to up your safety quotient, but that seems annoyingly excessive. Instead, if you're worried about visibility, slip into these Occunomix Men's Speed Collection Waterproof Cold Weather Yellow and Black Reflective Bib Overa ... (see full details) (see specifications) #OCCSP-BIB-YLW. You could strap a back-up siren to yourself to up your safety quotient, but that seems annoyingly excessive. Instead, if you're worried about visibility, slip into these Occunomix Men's Speed Collection Waterproof Cold Weather Yellow and Black Reflective Bib Overalls SP BIB YLW and be sure that everyone sees you coming. The black-bodied overalls have a wide white stripe on the front, hi-vis yellow legs and two reflective stripes on each leg. The reflective stripes are made of 3M Scotchlite Reflective material and circle your legs for 360 degrees. Features like this make these overalls 100% ANSI 107-2015 compliant. That means that they comply with the American National Safety Institute's standards for amount of reflective background material. When public safety workers are on the job, they must stay visible, and these overalls help you do just that. Made of a combination of 300 Denier nylon and breathable yet waterproof Polyurethane, these overalls provide maximum waterproof protection. The PTFE membrane inside the overalls is similar to Gore-Tex and can withstand shallow-depth submersion without leaking. Storm flaps on the legs cover up the YKK leg zippers, helping to keep your lower legs and ankles dry. In addition to keeping you dry, these overalls are designed to keep you warm. They're lined with Thinsulate insulation, a light-weight but effective insulator. These overalls protect you in a temperature range similar to that of SP-CVL. First responders and EMTs will love that these bib overalls have a PTFE biocomponent transfer laminate membrane with sealed seams. These bibs protect you when you come into contact with biohazards like blood or waste because the laminate membrane blocks even the tiniest pathogen. They're so protective, they're even Viral Penetration ASTM MEthod F 1671 Compliant. Last but not least, Occunomix overalls are designed for comfort. These have adjustable elastic suspenders with quick-release buckles. They also have an elastic waist band with a YKK zip fly. Many pockets also make these overalls a good choice for working man. They've got two front side pockets, one large chest pocket with a Velcro closure, one flapped side deep cargo pocket and another side cargo pocket with a phone pocket. Two hip pockets in the back also provide room for all the things you need while on the job. There's no need to wear several layers of pants to work--just order a pair of Occunomix Men's Speed Collection Waterproof Cold Weather Yellow and Black Bib Overalls SP BIB YLW. The'll keep you warm, dry and safe for your entire shift. Click and order yours today. I PURCHASED THESE BIBS FOR MY HUSBAND WHO WORKS OUT IN THE EXTREME ELEMENTS TRIMMING TREES FROM THE POWER LINES. I WANT TO KNOW THAT WHILE HE IS OUT THERE DAY AND NIGHT, THAT HE IS PROTECTED. AFTER EXTENSIVE RESEARCH I CHOOSE THESE OCCUNOMIX BRAND BIBS AND NAILED IT. MY HUSBAND LOVES THEM!!!! HE IS PLEASED WITH THE TRUE TO SIZE FIT, THE WARMTH, THE GREAT VISIBILITY THAT HE HAS IN THEM, AND THE OVERALL LOOK OF THEM. THE ONLY THING HE SAID THAT HE WOULD CHANGE IS THAT HE WOULD HAVE THE SIDE ZIPPERS GO UP HIGHER, NOT THAT HES COMPLAINING. ITS BEEN -5 TO -25° HERE WITH SNOW AND ICE AND HE HIGHLY RECOMMENDS THEM. WE NOW HAVE A PARKA , SWEATSHIRT, AND MULTI POCKET JEANS BY OCCUNOMIX ORDERED AS WELL. P.S. 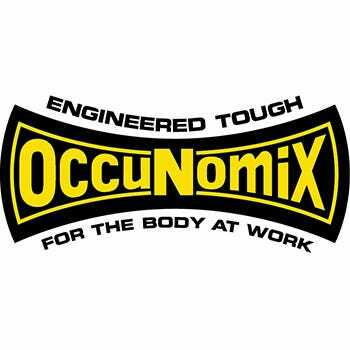 AS A WOMAN I THINK THE COLORS OF OCCUNOMIX LINE LOOKS VERY ATTRACTIVE ON A MAN! If you are looking for a waterproof, hi-visibility set of bibs, order this pair with no reservations. They have kept me warm and dry, wash clean in the washer, dry quickly and are very comfortable to wear. I normally just need a pair of gym shorts to wear underneath, and that's in the cold Pennsylvania winter! Well worth the investment, plenty of pockets (I really like the chest pocket that holds my BIG cell phone! ), and top quality construction. These bibs are great. Other than I have to safety pin the shoulder straps because the plastic buckles wont hold the straps. I use them to keep me dry and warm on the side of the road while I'm towing. These bibs keep me warm and dry. Very quickly a small rip formed an both leg bottoms where they rub together. The rips have not gotten bigger after much use. I am a miner that does maintenance work in a very extreme environment. Nothing holds up very well. Other than that I am very pleased with the performance. Very easy to put on and take off and comfortable to wear all day. These qualities are very important to me as I do road service for a towing company and work long hours many times I will have them on for 12 hours before I can take them off again. Very functional warm and waterproof without being too hot in the truck. Occunomix Overalls: SP BIB YLW Reflective Waterproof Insulated Bib Overalls is being added to your cart.